A high quality urban lighting design creates a balance between light and darkness, focusing the light without turning the light sources into glare points. A well-designed urban lighting system can significantly reduce night crime, ensure safe navigation through the outdoor space and create stunning architectural effects, all while making a conscious effort to reduce light pollution. A well-spaced solution, using quality luminaires, can illuminate the whole area while keeping the light only where it needs to be. Urban lighting dramatically reduces accidents such as trips and falls, as well as limiting night time crime and vandalism. Shadows created by curbs, steps or misplaced objects can be minimised, allowing people to safely move through the area, with a reduced risk of a potentially serious accident. Tamlite understands the requirements for safe, well-lit and secure car parks, whether owned by councils or attached to private retail and leisure outlets. Ongoing maintenance costs, including down-time, man-hours, replacement or additional materials, can be reduced by the installation of modern systems which incorporate programmable controls and monitoring. Many roads and pedestrian routes now incorporate cycle routes and other traffic zones, and a number of regulations must be considered in the planning. All designs need to consider the safety and comfort of pedestrians and road users. So careful planning to avoid shadowing, glare and dark areas is vital. Tamlite understands the importance of robust, tamper-proof lighting that is also able to withstand extremes of weather and temperature, particularly for flood-lighting. Free-standing and wall-mounted flood-lighting must incorporate long-lasting components, and be of high-quality materials and finishes, to deliver lighting that is as maintenance-free as possible. Other siting locations should also be considered, such as ground lights and spotlights in order to achieve greater coverage and reduction of possible dead-zones. Lighting for building facades requires a scheme and a solution that ensures colour, detail and uniqueness of the architecture are highlighted. Accurate colour rendering means that the colours and details of building facades appear in their best light. Town planners, Councils, Town Centre Managers, Emergency Services and all those who use town centres for work or leisure, must all be considered when planning or designing town centre lighting installations. Knowledge of their requirements and the need to ensure urban spaces are accessible to all, is key to understanding the complexity of planning excellent, cost-effective and energy-efficient lighting. 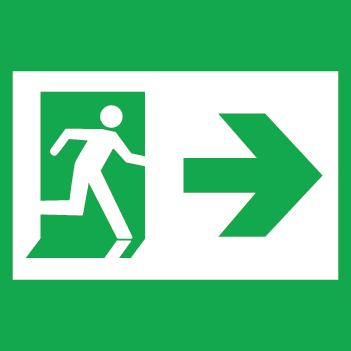 To ensure that people remain safe in the event of a loss of mains power, emergency lighting must direct people to the nearest assembly point, as well as allow people to spot any hazards outdoors in an emergency. Urban lighting must satisfy a variety of needs, and technology choices should be carefully considered. Yet, armed with the right knowledge, it is possible to make the right choices that will net real business benefits. Whether you are an estates director, a property and maintenance manager or an FM, our urban lighting experts can assist you at every stage of your lighting specification process: from product selection to advice on how to build a chief-executive or board-level business case for your lighting upgrade.